Ever seen “Planes, Trains and Automobiles”? It’s a comedy starring Steve Martin and John Candy, which tells the tale of their epic adventure to get home for Thanksgiving in rather dire circumstances. In short, they are forced to seek every form of transportation seemingly available to make it to their destination. For the first time in five years of FFG, I understand what it means to “transport hop” and all I could think of while I was doing it was Planes, Trains and Automobiles. However, my end destination does not involve a snow covered Chicago, as it does in the movie, in fact it’s the exact opposite. 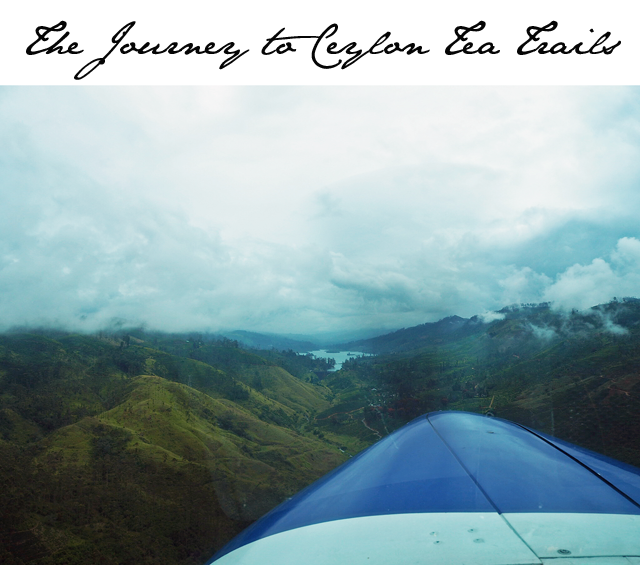 Yesterday, I made the journey from London to Ceylon Tea Trails in Sri Lanka. Yeah, I’m pretty sure that the Planes, Trains and Automobiles parallel just flew out the window for most of you. 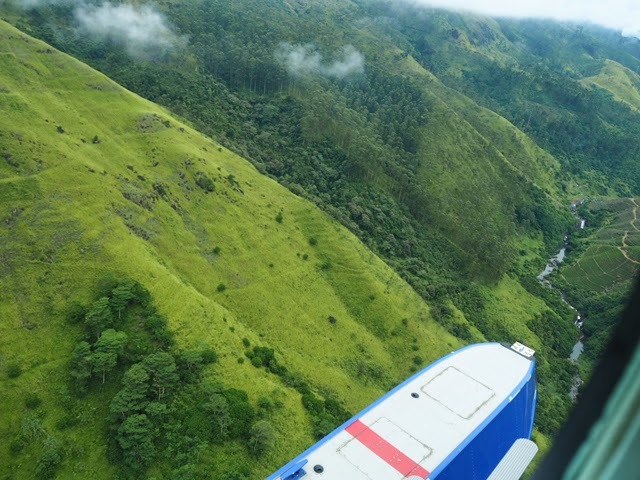 The only commonality is found in the lengths that we took to get to this rather lush paradise. 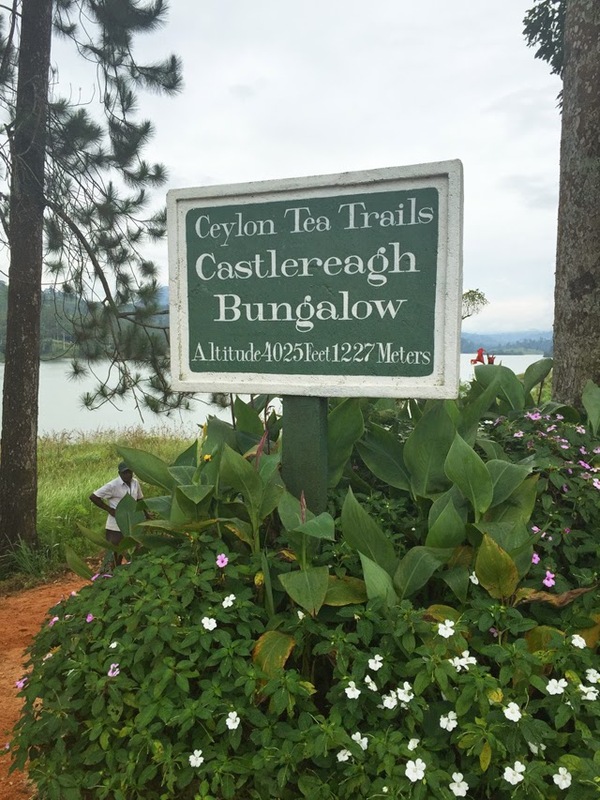 Our journey to Ceylon Tea Trails began at 6:30pm on Friday night. While the vast majority of my group of friends were raising a glass in toast to the close of their week, I was boarding a 12 and a half hour flight to, well, destination unknown. I have never before been to Sri Lanka, which is why I jumped at the chance when offered a visit to stay at two of the country's most celebrated hotels. The flight (provided in association with Cox & Kings) was actually quite painless. In fact, I feel I need to back track before I go any further and state quite clearly that the whole adventure I am about to detail was in fact a thrilling ride rather than a nagging "are we there yet" situation. 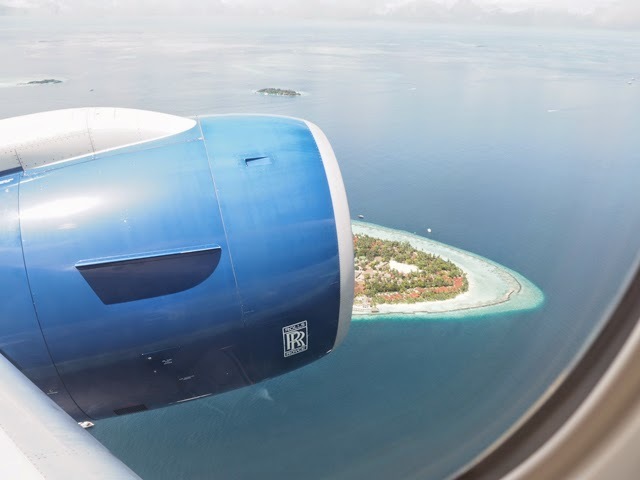 After ten hours on the plane, the British Airways flight from London stopped over in Male where we all got a look at the luscious waters of the Maldives. We sat on board for an hour as the plane was refueled and cleaners looked after the mess made by previous travelers. 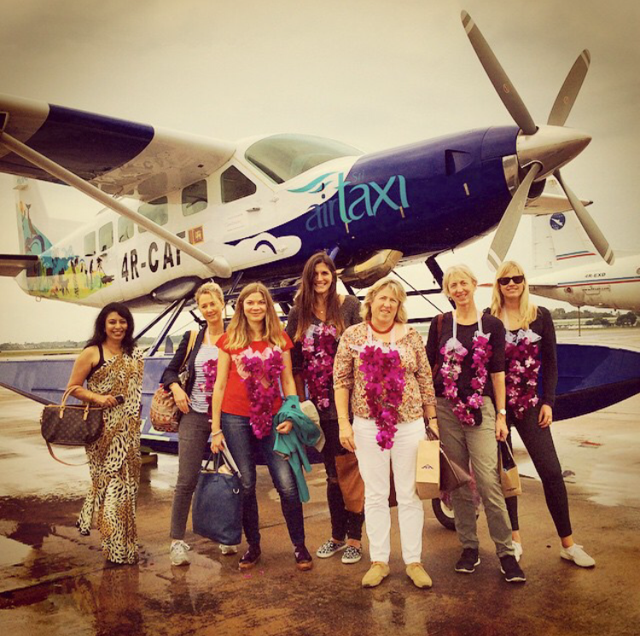 We stretched our legs and snuggled back in for a short hop over to Colombo airport. Upon arriving in Sri Lanka I must say I experienced one of the most painless passport checks ever. It was more or less a straight through job and our luggage was all out within 15 minutes of landing. Dear Colombo airport, please come and give some lessons to the western world about efficient baggage handling (yes, yes, I realize that London airports deal with a lot more traffic and hence the chaos... but, you get what I'm throwing down here). In the airport we were met by a lovely team of women that swept us away to the lounge to regroup, recuperate and refuel. Each of us was given a lei made up of beautifully fragrant flowers and gifted the most beautiful small plaque commemorating our arrival. It was all quite sweet and genuine. Every person we met wanted to help in someway to make our journey that much more comfortable, and it worked. Now we're on to the third leg of our journey, the seaplane with Cinnamon Air. Alright, I'll go ahead and admit that it was this part of the journey that freaked me out the most. I had just flown on a commercial jumbo for 12.5 hours and didn't have a moment's pause about the whole thing. But, ask me to get on an eight seater seaplane, which could easily fit in the lounge of my flat, and I'm freaking out. Of course, it was all a freak-out inside. I can't be seen to be uncool here on a press trip surrounded by some of the world's most respected journalists. No way, no how. We board the seaplane and our pilots seem more like a comedy act than pilots. 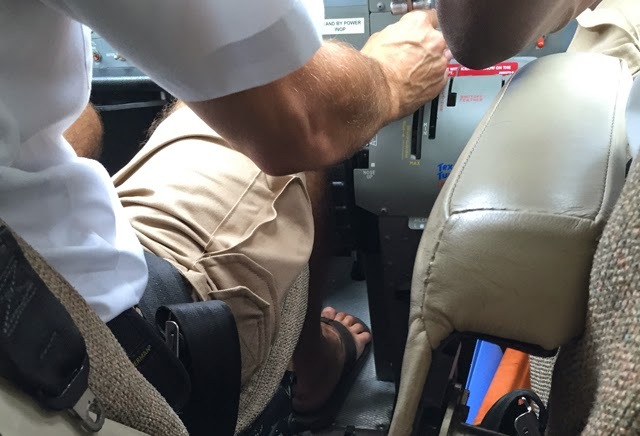 The main "dude" is wearing khaki shorts, flip flops and aviators and has a cheeky smile as he offers to take pictures of all of us sitting, standing or leaping in front of the plane. He reminds me of Goose from Top Gun. He's been around this block before. But then again I discovered they fly 80 times a week, so these guys know what they are doing. I should trust them right? 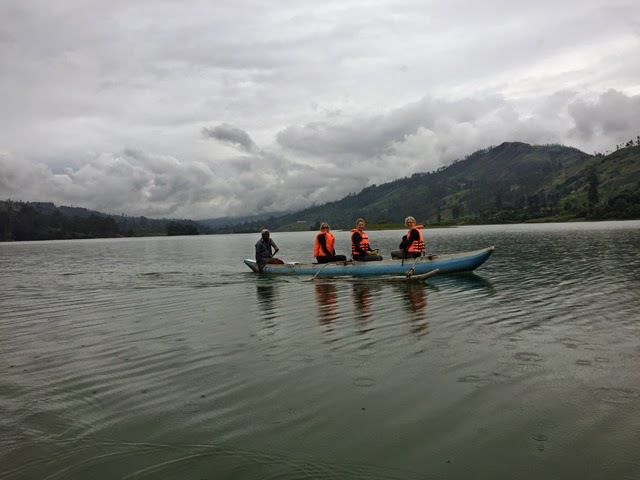 We landed, as my seat partner said, "like James Bond water-skiing" on the lake at Ceylon Tea Trails. It was a pretty monumental arrival. On the dock we were greeted by a team of gentlemen from the hotel who were on hand with champagne - a nice touch and my idea of the perfect arrival. Then, rather interestingly, we saw two very narrow boats arrive alongside us. These were like canoes on a diet. I was then handed a life jacket and told this would be my last form of transport before we arrived at our bungalow, Castlereagh. 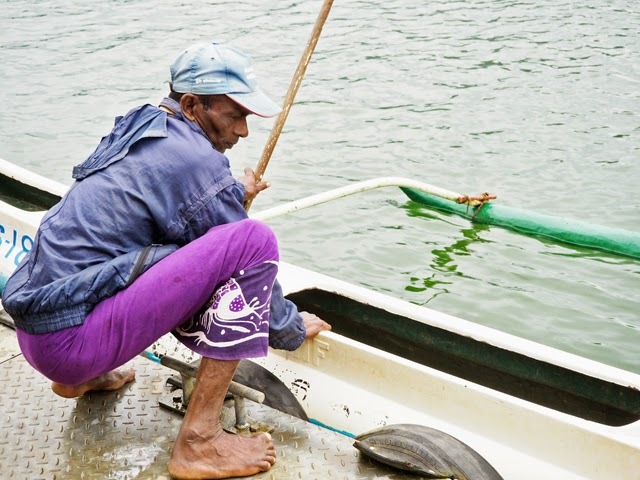 I stepped into the seemingly aged boat and said a small prayer that my rear end would fit on the world's tiniest seat. In the end I'm not sure it was a perfect match but it was painless and afforded me a view of our home over the next few days that is truly unparalleled. We were in the middle of the world's most peaceful setting and we were paddling home. Along the way we encountered a few locals, a house full of men that seemed rather excited to see six women out and about on the water, and finally our arrival team on the shores of Castlereagh Bungalow. After nearly 18 hours of travel, we had arrived. 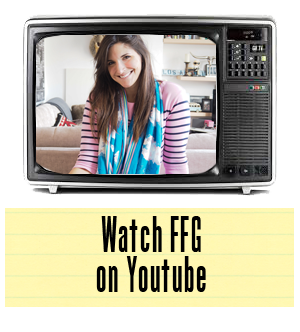 The biggest surprise here was how I was operating on zero sleep and pure adrenaline. Every form of transportation was a new and thrilling experience that kept my senses on high alert. I wouldn't have taken back a single moment. In fact, I'm finding in life that the world's greatest experiences involve a sacrifice of time and money. But, when you look back it's true what they say about the journey being just as important as the destination. It's all part of the wonderful adventure that is being a traveller. And let me just tell you, ladies and gents, when I show you tomorrow where I am, I think you'll agree it's worth every minute of 18 hours to get here. Cox & Kings has a 7-day / 5-night trip to Sri Lanka priced from £2,355 per person, including flights from London, road transfers, 2 nights all-inclusive at Tea Trails and 3 nights’ half board at Cape Weligama. Transfers by sea plane with Cinnamon Air can be arranged for an extra cost.